When making TV shows, there are a lot of people involved in the process. Writers, actors, directors, producers… the list goes on. And often times relationships and life events (or sometimes even global events) that either develop during the course of the show, or those that the creators bring with them, will turn out to have an effect on the show itself. 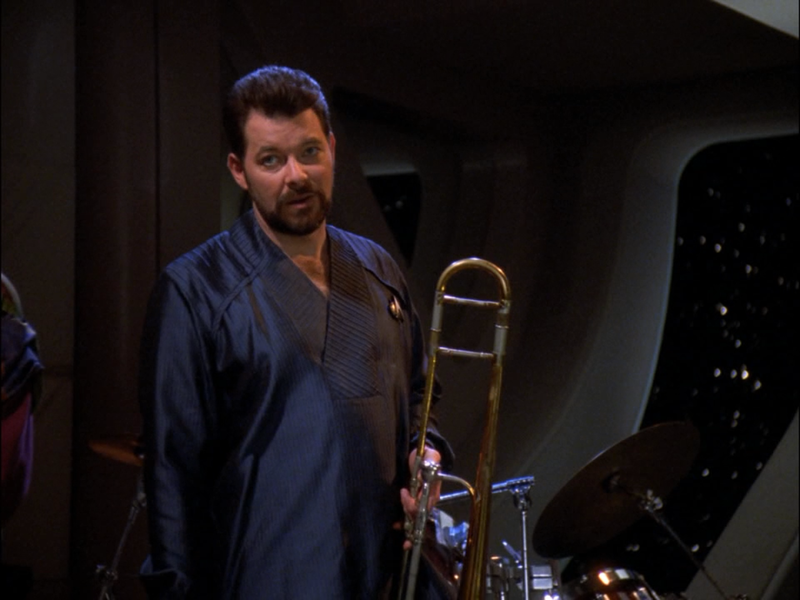 Sometimes this is a fairly simple, small thing, like Riker’s trombone playing in Star Trek: The Next Generation. Jonathan Frakes played trombone, and they worked it into his character. Other times, it ends up having a big effect on the show, altering the course of the plot and forever changing the characters. Knowing this real life context can make these moments more hilarious, more poignant, or just more interesting. So here are 4 moments improved by reality. Can’t you feel that sibling love? So back in the first season episode “Hot Zone,” we learn for the first time that McKay has a sister. Originally it was supposed to be a brother, but David Hewlett, who plays McKay, convinced them to change it at the last minute, “just in case” they wanted to turn his sibling into a character. That way, she could be played by his real life sister, Kate Hewlett. And she was, starting with the episode “McKay and Mrs. Miller,” where we see that their relationship isn’t so great. But David and Kate seemed to have a great relationship, which made for excellent banter on set and led to her character appearing in three more episodes after this. Once you know that they’re actually related, it’s easy to see how that lends a certain authenticity to their performances, and that’s without pointing out the family resemblance that TV siblings so often lack. Doctor Who, the classic series, died with a whimper after fighting for years to stay on the air in spite of the desires of a few executives. What followed was a period referred to as “the wilderness years,” when Doctor Who wasn’t on the air and the fandom was at a loss as to what to do now. Weird unofficial spinoffs happened, and the canon, as shaky as it had always been, splintered into books and audio plays and comics that may or may not acknowledge each other. Did they invent a new Doctor? Continue with the Seventh, or go back to older ones? Finally, the Doctor returned to our screens in 2005, played by Christopher Eccleston, and we learned that not only had the Doctor been absent from our screens, but he’d been gone from Earth for that whole time as well. The Last Great Time War, it seems, became symbolic of those wilderness years: the great powers who’d once ruled this universe were gone, just as the old writers were. There was a lost and confused chapter of the Doctor’s life now, much like the confused continuity of the wilderness years. 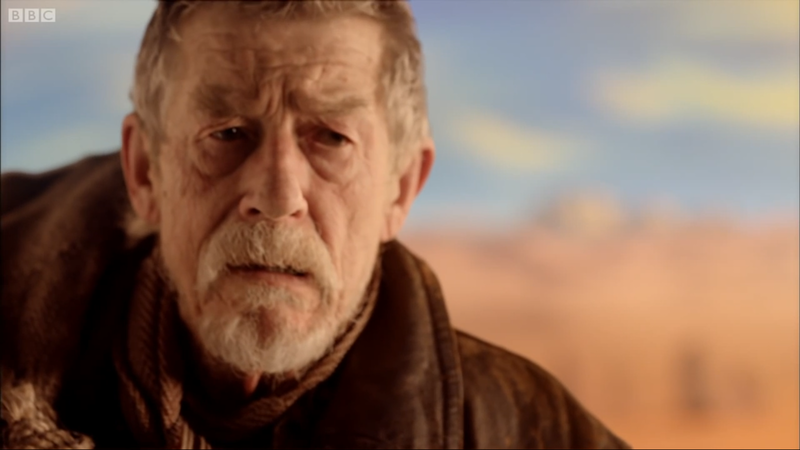 Not only do we see this in “Rose,” the show’s return, but it resurfaces in “Day of the Doctor,” where the latest Doctor is measured up against the classics, with Hurt’s War Doctor voicing some of the common criticisms fans of the classic series have of the modern. The Time War is a massive event that can never truly be depicted; and so, the show posits, that’s why they didn’t even try in the 90’s. It’s hard to see, but it’s there: a small stud earring. This one’s small, in the show itself; you might not have even noticed it, but in Babylon 5, Ivanova only ever wears one earring. 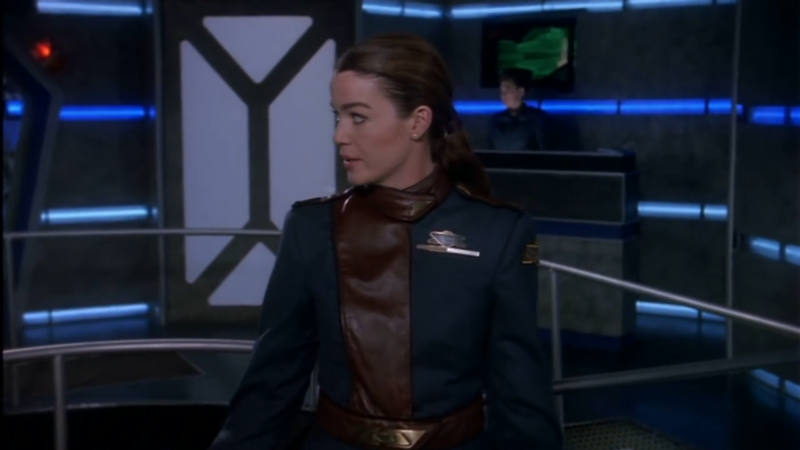 In the later TV movie, “In the Beginning,” it was shown that Ivanova gave one of her “lucky” earrings to her brother, Ganya, before he left to fight in the Earth-Minbari War. He never came back, and she wore the single remaining earring as a reminder of him. This is a plot point that grew out of real life: Claudia Christian’s brother had passed away in an accident involving a drunk driver when she was only eight years old. She placed one earring in the casket, and kept the other with her–which she’s wearing throughout Babylon 5. One of the weirder plotlines on DS9 was that after an accident, Kira was forced to carry the O’Brien’s baby to term. Of course, this was done mostly because they’d already established that Keiko was pregnant, and then Nana Visitor was actually pregnant, so this weird plot allowed them to avoid shooting around and hiding her pregnancy (as had been done with Gates McFadden on TNG and later Roxann Dawson on Voyager) by resorting to sci-fi medical tricks. Hey, it’s better than the holodeck. Where this gets interesting is that Nana Visitor’s child was fathered by Alexander Siddig, who played Doctor Bashir on the show (Ever wonder why their characters were married in the parallel world of “Far Beyond the Stars”? Now you know). And since Bashir’s “sci-fi medical tricks” were responsible for transferring the baby to her in universe, it allowed for hilarious lines laced with subtext, where Kira shouts at Bashir that the whole situation was all his fault. Why yes, yes it was. That’s all for this week. Any moments of reality context that you feel deserve to be on the list? Anything I missed? Let me know in the comments, or shoot me a message on twitter @RetroPhaseShift. In case you haven’t caught on, there’s a change in Monday posts going forward: there will only be What Could Have Beens and Obscure SF Primers posted on Mondays, but still on the same schedule as before (that is, the 2nd/3rd Monday of the month for the latter and the last of the month for the former). So no Monday post this week, but the Primer will return the week after. Still, stick around for SHIELD reviews, and the Friday Four!